Russian Deputy Foreign Minister Alexander Pankin in an interview with Sputnik Saturday addressed the issue of US sanctions against Moscow's state debt, as well as gas transit to Europe. In an interview with Sputnik Russian Deputy Foreign Minister Alexander Pankin stressed that the attempts to force Russia to transit gas through a neighbouring country on unfavourable terms will fall through, referring to some countries trying to hamper the construction of the Nord Stream 2 pipeline that will deliver gas from Russia to Europe bypassing Ukraine. "If they will set up obstacles for this project in order to force Russia, and one of the reasons for the anti-Russian sanctions is just Nord Stream 2, to pump gas through Ukraine on their terms, with their tariffs, with uncertainty in legal matters, this trick in all likelihood will not succeed", Pankin stressed. He noted that Russia was ready to keep on transiting gas through Ukraine, but it should happen on Moscow's terms. "Yes, we are ready to continue Ukrainian transit, but under the conditions we need… There are a number of elements there that the Ukrainians cannot go for right now", Pankin said. Pankin continued by saying that Washington's sanctions against Moscow have failed to do significant damage to the country, meaning that Washington is unable to fulfil its aims. According to him, Washington's partners have been constantly hinting that Russia should be ready for any kind of new restrictive measures. According to Pankin, Washington's sanctions have different aims; from pressure, threats, and punishment to the creation of a "toxic atmosphere" of uncertainty. "I believe it will not be sensible to say that sanctions are absolutely painless. But to say that they do significant damage and hit the declared aims — this surely doesn't happen", Pankin said. He went on to say that Washington should honour the interests of US and European businesses, since they could be affected by the anti-Russia sanctions. "This is mostly related to the possible introduction of sanctions targeting state debt or dollar operations. The interests of key US players may be affected, as well as those of their partners and allies, including Europe… Perhaps, this is one of the aims of the sanctions. 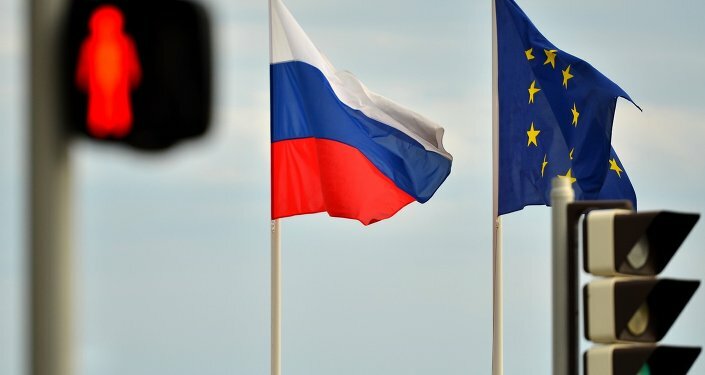 European business experiences the effects of sanctions just like Russia does and maybe even more, and this is an established fact", Pankin added. Pankin voiced the belief that Washington could use the sanctions to squeeze Russia and Europe out of the market, slamming this as "unfair competition". Pankin reaffirmed Russia's readiness to engage in constructive dialogue with the United States, adding that in the event of new sanctions being introduced Moscow could respond in kind. Russian Deputy Foreign Minister Alexander Pankin has also touched upon the de-dollarization issue, underlining that Moscow's aim of escaping the dollar's influence comes in response to Washington's anti-Russia sanctions, but a total rejection of the US dollar in transactions is not in the cards. "The process of de-dollarization is a reaction to what the Americans are currently doing. On the other hand, we see that such measures as sanctions promote de-dollarization of international transactions… Full de-dollarization is certainly not in the cards", Pankin said. As he explained, the current US economic policy, based on protectionism and a belief in US supremacy, has created significant risks and forced many global players to consider the possibility of de-dollarization. However, many countries are considering the possibility of de-dollarization and are starting to make arrangements regarding settlements in other currencies in certain market segments, according to the diplomat. Pankin added that Russia has been engaged in talks about settlements in other currencies, apart from the dollar, with a number of countries, including those from the Eurasian Economic Union, the Commonwealth of Independent States, the Asia-Pacific Region, Latin America, and Africa. The Russian deputy foreign minister noted that the European Union thinks that it's feasible to switch to the use of euro in trade with Russia. In Brussels "there are strong voices, including on the level of the European Commission, regarding the viability of switching to payments in euros … We also are considering this possibility", Pankin said. However, the prospects of switching to euro payments for Russian oil and gas this year are low, according to the diplomat. "It seems that this is a promising direction. But to answer the question whether this will happen in 2019 is very difficult, because our relations with the European Union (not with the EU states, but with the international organisation) are not in the best shape", Pankin underlined.